“But all I could see was a beautiful girl in a long gray dress, under a white track jacket with the word Munich sewn on it, and beat-up black converse peeking out underneath. A girl who wore a long silver chain around her neck, with tons of stuff dangling from it – a plastic ring from a bubblegum machine, a safety pin, and a bunch of other junk I was too far away to see. A girl who didn’t look like she belonged in Gatlin. I couldn’t take my eyes off her. Macon Ravenwood’s niece. What was wrong with me? Ethan is hiding himself from the rest of his schoolmates. He’s clever and wants out of the dead-end town that is Gatlin. He reads even though that doesn’t bode well with the other guys on the basketball team and he isn’t attracted to the cheerleaders the way he is meant to be. Ethan has been having strange dreams since his mom died, strange dreams about a girl he’s never seen, until the day she turns up at his school. The niece of the odd “Old man Ravenwood” Lena is shunned as soon as she starts at Jackson high, from everyone except Ethan. He is drawn to her and from the moment he nearly runs her down he hates to be apart from her. Lena isn’t just a normal girl though, a 15 year old teenager who has powers so strong no one can begin to imagine what shes capable of, Lena doesn’t even know herself yet and as the impending fate of her 16th birthday draws near things get dangerous for the two who have fallen so far they can’t seem to make sense of where its taken them. Beautiful Creatures is one of the most powerful books I’ve ever read. Believe me, I could barely put it down, I would be reading it at work then I’d suddenly realise that my lunch break finished over 5 minutes ago and I was about to get in serious trouble! The way the feelings between Ethan and Lena are described, they way the settings and the town and the manor are put into worlds is so powerful sometimes I thought I was actually there! Ethan is a great main character, the way the books written from his point of view is awesome, you get to know exactly who he is, he lets you into his mind, the way he lets Lena in and the conversations between the two of them, in their minds is incredible, you get that the world is going on around them but really all that matters at that point is what they’re talking about. This book made me feel every emotion possible; love, happiness, sadness, fear and even blood curdling fury. There were a few times when I really just wanted to hurl it at a wall…. More often than not when Mrs Lincoln or Savannah Snow were on the pages in front of me! A few times where I found myself crying and more than a few times where I’d be laughing like a loon… especially during the gym scene with Macon. I’ve always been fascinated with witches, the pagan religion is probably something I can relate to more than Christianity, even though I’m christened, and I love stories about witches and wizards. 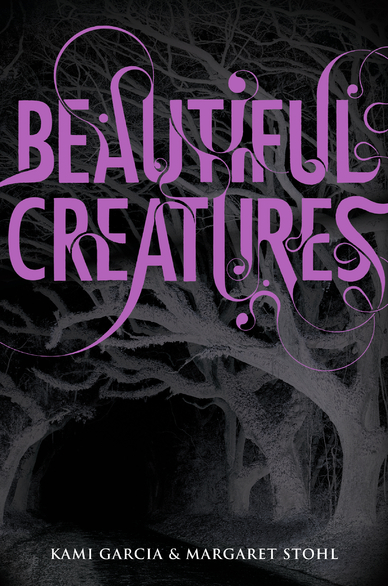 However Beautiful Creatures was different to other stories I’ve read, as Lena says they are Casters not witches and the history of the Casters and their mannerisms and stuff really captivated me. I was in awe of their powers, their Casts, everything about them they just amazed me. Another thing that can be said for this book is its pace. It’s a big book, at 563 pages I knew it wasn’t going to be quick and the last book of this size I picked up bored the hell outta me because it really didn’t need to be so big! However Beautiful Creatures never bored me, not once. I was dying to know what was going to happen next, what revelations would come and how the sixteen moons would turn out at the end. The suspense in certain parts of the book nearly killed me. I was begging to know what was going to happen or how they were going to find themselves out of the situations. I have honestly not experienced a book like this for a while. The Caster Chronicles are now right up there with Uglies as my favourite series because I cannot let this one go. I’m gutted it took me so long to read this book, and I hope like hell the library has Beautiful Darkness because if I don’t know what happens next soon I think I’ll go crazy. This is a re-published review of Beautiful Creatures; first reviewed on Readaraptor on 3rd March 2011. I am following this post up with reviews of the rest of the series over the next few weeks in the run up to the release of a new series by the authors. Dangerous Creatures will feature Ridley and Link from this series and is available for pre-order via Amazon, the iBooks store and other retailers now.